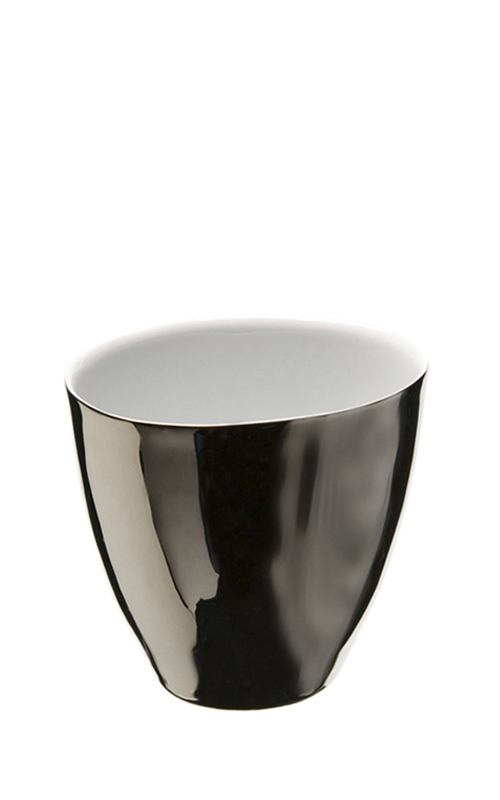 Tea cup, glazed porcelain, real platinum exterior, white interior. irregular form. Handmade in Hungary in traditional mould.